Kathrin carries with her a Master’s Degree in the art of Philosphie before heading into the culinary world. Her natural sense of curiosity and playfulness led her from the world of haute education and into the seductive arms of gastronomy. Having grown up in the kitchen of her grandmother’s restaurant in her hometown of Kassel, Germany, the step was never too far off to begin with, despite the swift detour down the road of academia. Prior to taking on the position of Head Chef at Bloom in the Park, she has spent a fair amount of time in high tier restaurants such as Geranium ***, and Vollmers**, before embarking on a journey with provocative chef Karim Khouhani in 2015. Kathrin was one of the fundamental players in the team awarded first one Michelin star at Ambiance at Vindåkra, and finished her partnership with Khouhani in 2017 with the title of Sous Chef at their second one star establishment Restaurant Sture. She joined Bloom in the Park in the autumn of 2017, with a hunger to take the multicultural Malmö cuisine into the fine dining spotlight. Being located in closest proximity to the ever bustling activity of the Möllan markets – inspiration is easy to find just a stone’s throw from the kitchen at Bloom in the Park. The challenge now is the ever progressive work towards minimizing the restaurant’s CO2 footprint. Kathrin sources as much of her produce as possible locally. Partnerships with small scale local butchers and fishermen, using protein sources such as organic goat, local duck and wild caught seafood, she makes sure to really push her boundaries to put otherwise neglected meats and fish in the centrefold. Maintaining the prestigious star in both 2018 and 2019, has made her the only female chef in Sweden with this acclimation. 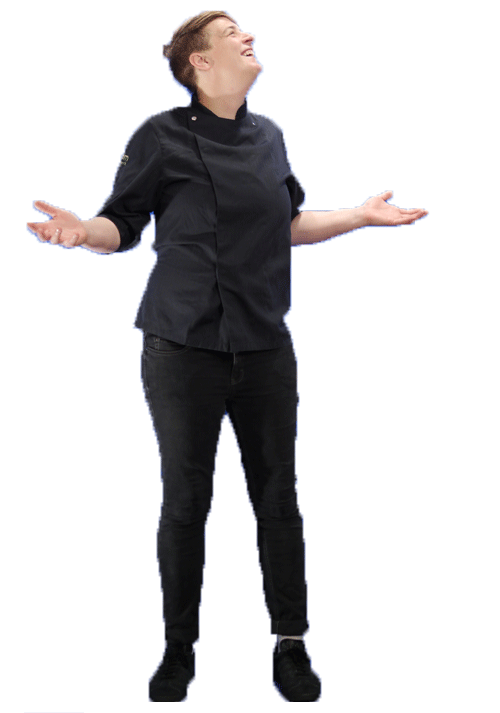 The challenge now is to keep finely tuning all of her culinary inspiration, whilst at the same time minimising food waste and pushing her talent towards higher awards and continuing to please the diners stepping through the doors of Bloom in the Park.